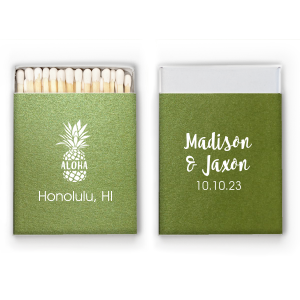 No matter where your destination wedding takes you, your custom designed destination wedding riviera matchboxes will be the perfect wedding favor! 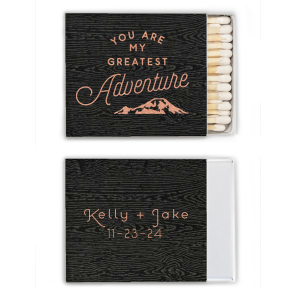 Nearly square, they are a fantastic size to feature your wedding monogram, wedding hashtag or even a fun slogan you've come up with for your destination experience. 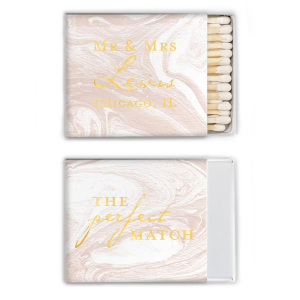 Browse our styles below or create your own. Your tickets are booked, the location is stellar, now to finalize the details that will give your destination wedding the personalized charm that is so important to you. 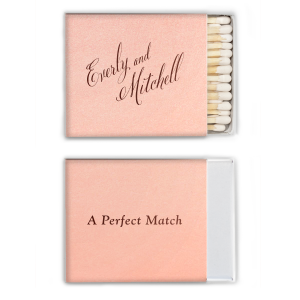 For a beloved and timeless wedding favor, design personalized destination wedding riviera matchboxes. 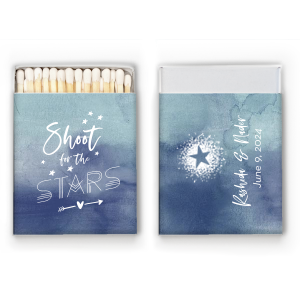 With over 100 paper colors and 50 foil stamping colors, you’ll find a color combination for your custom designed destination wedding riviera matchboxes that complements your wedding colorway with ease. 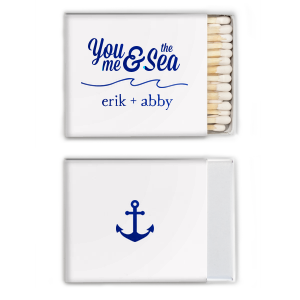 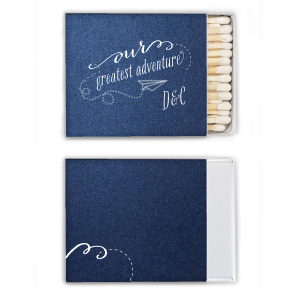 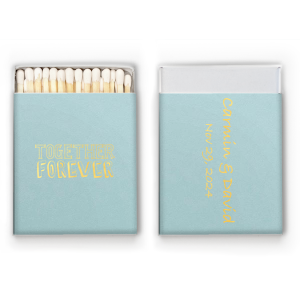 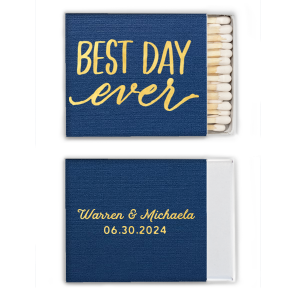 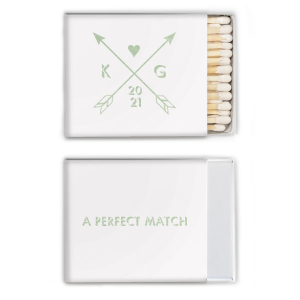 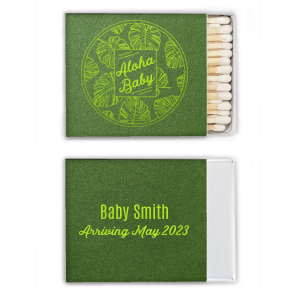 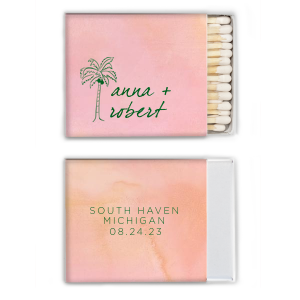 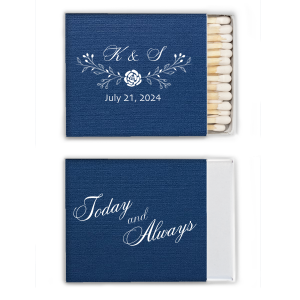 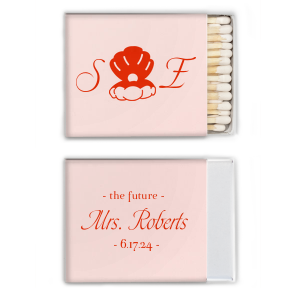 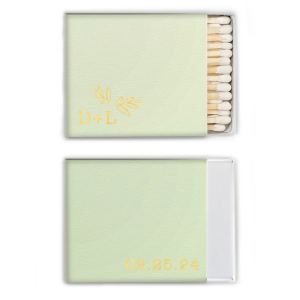 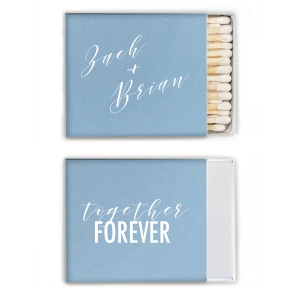 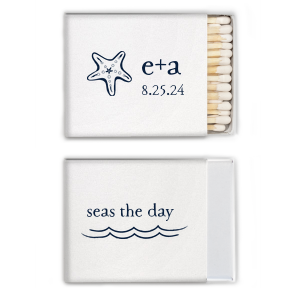 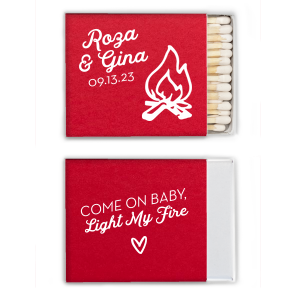 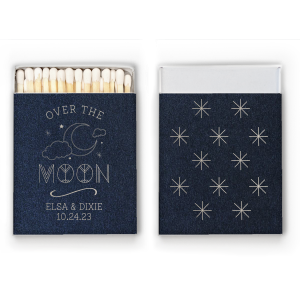 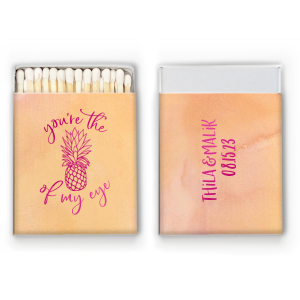 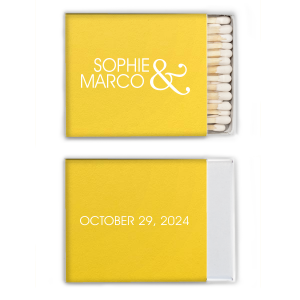 The nearly square shape of your personalized destination wedding riviera matchboxes give your guests a few more match sticks, and it gives you a larger surface area to personalize- it’s a win/win! 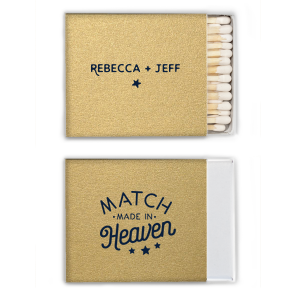 Design your custom destination wedding riviera matchboxes today!